The Alhaji Abubakar Kawu Baraje-led Peoples Democratic Party (PDP) has described late Governor of Ondo State, Dr. Olusegun Agagu, as a rare gem and his death a national calamity. In a statement issued in Abuja by its National Publicity Secretary, Chief Eze Chukwuemeka Eze, the party lamented Dr. Agagu's sudden death, saying it has robbed the party, the good people of Ondo State and Nigeria in general of a patriot and a statesman. 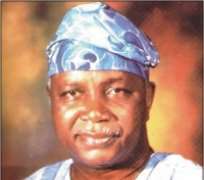 The party recalled that apart from serving as Governor of Ondo State, the late Dr. Agagu also meritoriously served Nigeria in various capacities, including as Minister of Aviation. PDP extended its condolences to Dr. Agagu's immediate family, to the good people of Ondo State, to the PDP Family and to Nigerians in general. While mourning Dr. Agagu, the Alhaji Baraje-led PDP congratulated the duo of Archbishop Ignatius C.O. Kattey, Dean of the Anglican Communion in Nigeria, and Chief Mike Ozekhome (SAN) on their release by their kidnappers. The party thanked God that the two illustrious Nigerians came out of the kidnappers' den unhurt and prayed God to give them the strength to cope with the psychological trauma arising from their harrowing experience. 'The New PDP also appealed reiterated its earlier call to the Nigerian Police to unseal its offices.PDP wishes to appeal to the Nigerian Police, which have unfortunately allowed itself to become distracted by politics to the detriment of its constitutional duties, to immediately retrace its steps and redirect its energies towards improving the precarious security situation in the country instead of being preoccupied with witch-hunting perceived opponents of President Goodluck Jonathan and Alhaji Bamanga Tukur's faction of the PDP. The Police under the watch of Mohammed D. Abubakar which have illegally sealed our offices while leaving millions of Nigerians at the mercy of kidnappers and other common criminals are playing with fire. The earlier the police stop doing so, the better for everyone', the party warned.